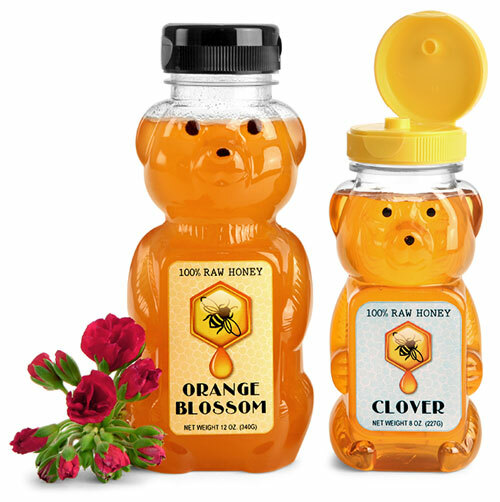 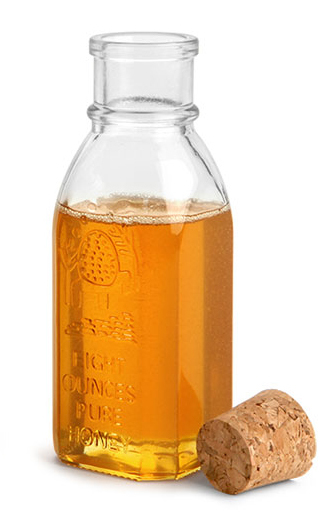 Give a fun and unique look to your honey or syrup line with these classic honey bear bottles! 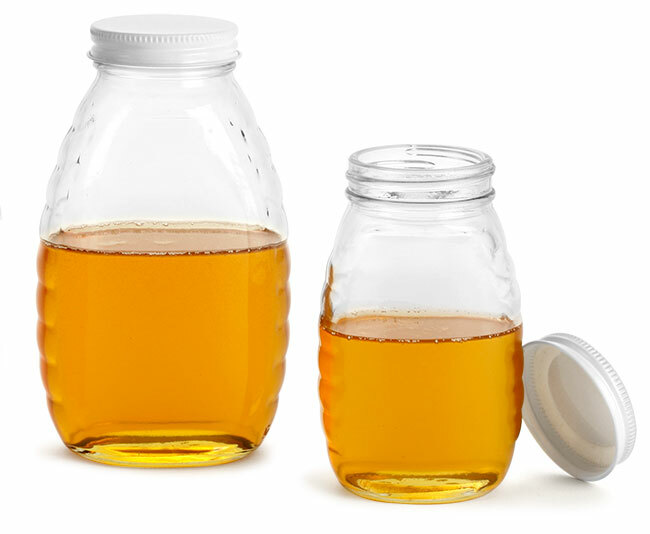 The clear plastic honey bottles are available in 6 and 8 oz sizes (8 oz and by weight) with black or yellow snap top caps. 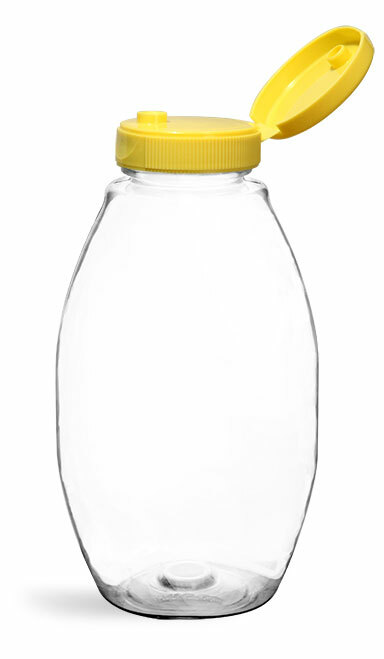 Each of these PET plastic bottles has a wide mouth opening for easy filling and a small orifice inside the cap for clean, even dispensing. 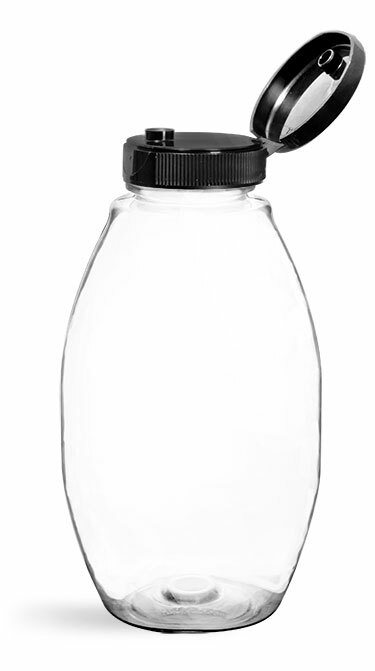 Each cap includes a silver foil pressure sensitive liner for tamper evidence.